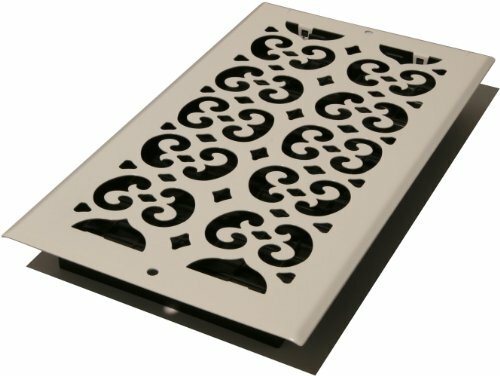 Faceplate is oversized to ensure coverage of irregular vent openings. Protective lacquer is baked on, not air dried. 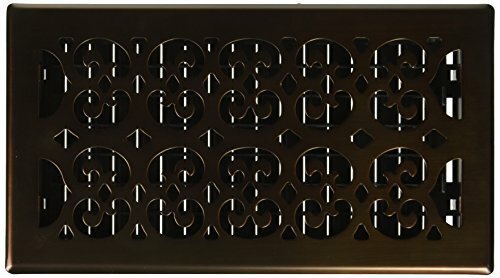 Floor Register, 4x10, Floor Register, Overall Height (In.) 11.5, Overall Width (In.) 5.5, Depth (In.) 1.38, Max. 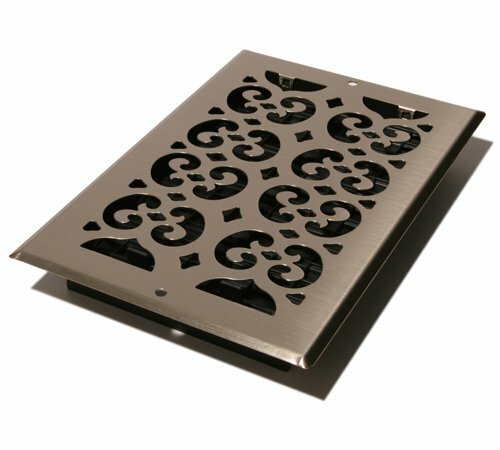 Duct Height (In.) 9-57/64, Max. 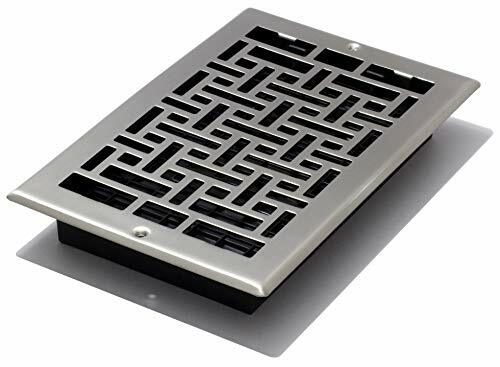 Duct Width (In.) 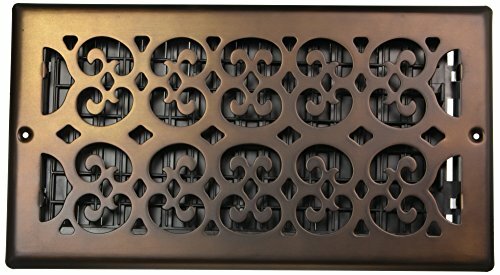 4, Air Flow (CFM) 86, Rubbed Bronze Finish, Plated Steel front grille and plastic damper box with airflow control tab Construction, 2mm Thick Electroplated top and Rust Proof Damper Box, 1 yr. 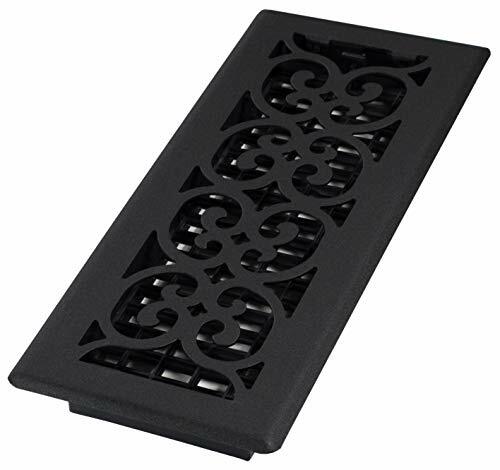 Decor Grates floor registers are built with the finest materials. Each and every register goes through a quality assurance process to ensure your satisfaction. 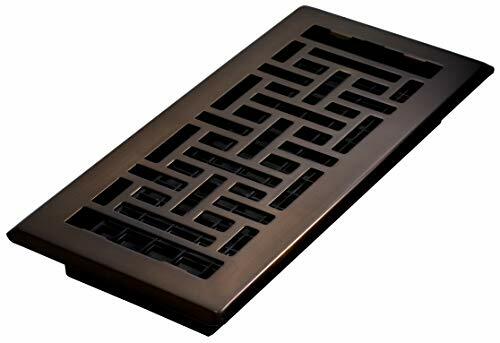 Our classic designs will enhance any rooms decor and give you years of trouble free operation. 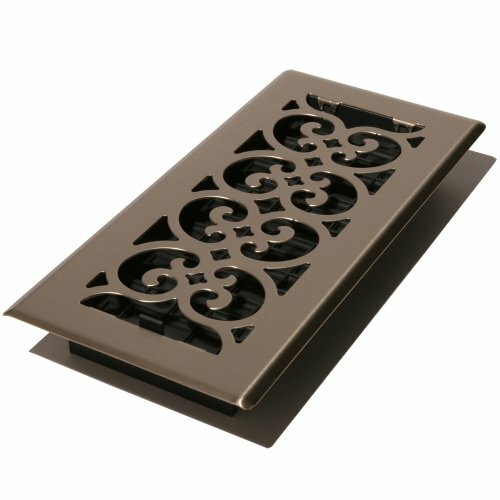 Our family owned company takes great pride in making sure you are totally satisfied with your purchase. 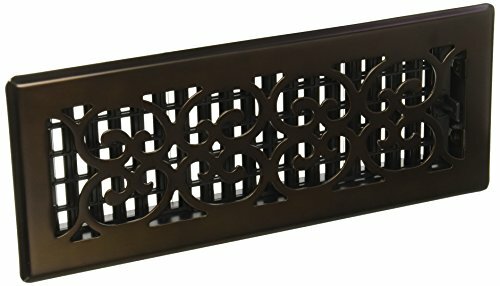 Decor Grates Gothic Bronze Steel Wall/Ceiling Register, 4" x 10"